In the Great Commission Jesus told us to make disciples of all nations. A disciple is someone who commits the entirety of their life to the ways of the teacher. Their goal is to reflect the teacher in every way. A disciple without question lives in obedience to the teacher. To make a disciple of the Lord we must begin by evangelizing them. If they so choose to commit their life to Jesus they become His disciple. Jesus is the teacher. If we are His disciples we must live in obedience to Him. 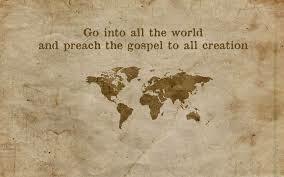 One of the very clear teachings of Jesus was that we are to preach the gospel to the whole world. (Matthew 24:14, 28:19-20, Mark 16:15, Luke 24:47, Acts 1:8). If we choose not to live in obedience to the teacher we are unfaithful and disobedient disciples. Living in disobedience to Jesus is sin. Therefore, choosing not to share the gospel is a sinfully rebellious act of disobedience. The 1st century church clearly took this teaching to share the gospel as a non optional act of obedience to their master. The Christians of the 1st century were harshly persecuted. Many of them suffered in horrendous ways. Many of them, just as Steven, lost their lives because of their faith in the Lord. Despite the horrendous treatment of Christians in the 1st century, Christianity grew rapidly. It grew rapidly in spite of the persecution because the Christians of the day were faithful to evangelize the world in which they lived. Even the fear of death did not prevent the spreading of the gospel from those who set in their hearts and minds to be faithful to the Lord. Jesus also taught us in the great commission that once we make disciples we are to teach them all that Jesus commanded. We need to be faithful in teaching new believers the truths of the word of God and walk with them to show them the way of the Master. We need to make it clear to new believers that they are responsible to share the same gospel that just saved them. We need to teach them that this is required of the Lord. Too often we don’t think new converts are ready to serve because they are too young in their faith. Let us not forget that Paul stayed as little as two weeks in certain cities leaving the new converts to oversee the newly started churches. I am thoroughly convinced that we need to let new converts start sharing their faith immediately while the zeal of their fresh fire of conversion is stirring their hearts. I am also convinced that once they see what God can and will do in their lives through their obedience that the fire will stay fresh and continue to grow, driving them deeper in their service and devotion to the Lord. Remember as well, new converts that are previously unchurched usually have a whole host of unchured and unevangelized people within their inner circle. They have a mission field of friends and associates that traditionally is much greater than that of the churched folk. Certainly, we are not to leave them alone to this task. We are to walk with them through it. This is true discipleship. For the most part we think today that if you are a good Christian you go to church and you tithe. If you are a real good Christian you will go to Sunday School and Sunday evening service. If you are a phenomenal Christian you will go to prayer meeting and give to missions from time to time. This type of thinking is killing the church in our modern world. Should we doing these things? Yes. All of these things are important and yes, we should participate in them. At the same time we need to teach what Jesus commanded as non optional and that anything else is sin. We need to rise up each generation of new believer to preach the gospel to all creation starting where they are at from the moment of their conversion. When witnessing becomes the norm of the church we will win this world to the Lordship of Jesus. Paul took Timothy under his wing as a son in the faith and taught him to be a man of God with a sincere faith. Paul wrote to Timothy in II Timothy knowing he was about to die for his faith encouraging Timothy to carry on in his service to the Lord. Paul said to Timothy, “Join with me in suffering for the gospel according to the power of God.” (II Timothy 1:8). If we do not teach the younger generation and the new converts to carry the gospel light into this dark world, then who will carry it when we pass on? But, if we teach witnessing and discipleship as Jesus taught us, it will be passed down from generation to generation just as it is biblically mandated. Who is Called to Such a Task? When Jesus said in Mark 16:15, “Go into all the world and preach the gospel to all creation,” and said, “you shall be My witnesses,” in Acts 1:8, to whom was He referring? Who shall be His witnesses? Who is called to preach the gospel? Does the bible answer these questions? Yes! The Word of God answers these questions with absolute clarity. Ephesians 4:11 gives us a list of some of the offices of the church. One of the offices is the evangelist. Although we see many forms of evangelists in church life today the biblical calling of an evangelist is one who evangelizes, or preaches the gospel. In Acts 8 we find Philip, who was one of the original deacons, preaching the gospel in a variety of places. After Acts 8 the bible only briefly mentions Philip again in Acts 21 when Paul and his team stay at Philips house on their way to Jerusalem. At this point Philip is called, Philip the evangelist. (Acts 21:8). Clearly the evangelist is one who is called to such a task as proclaiming the gospel. This is his life’s call and dedication. Is he the only one called to this task? One of the other offices of the church mentioned in Ephesians 4:11 is the office of pastor. The pastor is clearly distinct and separate from that of the evangelist. The pastor wears many hats in his task of overseeing the church and shepherding the flock of Christ. However, the pastor is not an evangelist. They are clearly different in their calling and gifting. Still, Paul tells Timothy, who is the pastor of the church of Ephesus in II Timothy 4:5, “do the work of an evangelist.” Not all pastors are evangelistically gifted. Yet, every pastor is called to do the work of an evangelist. They are to preach the gospel from behind the pulpit and be out and about in the community on a regular basis sharing the gospel with the lost in their church field. Pastors should lead by example by being an active witness for Jesus in their daily lives. 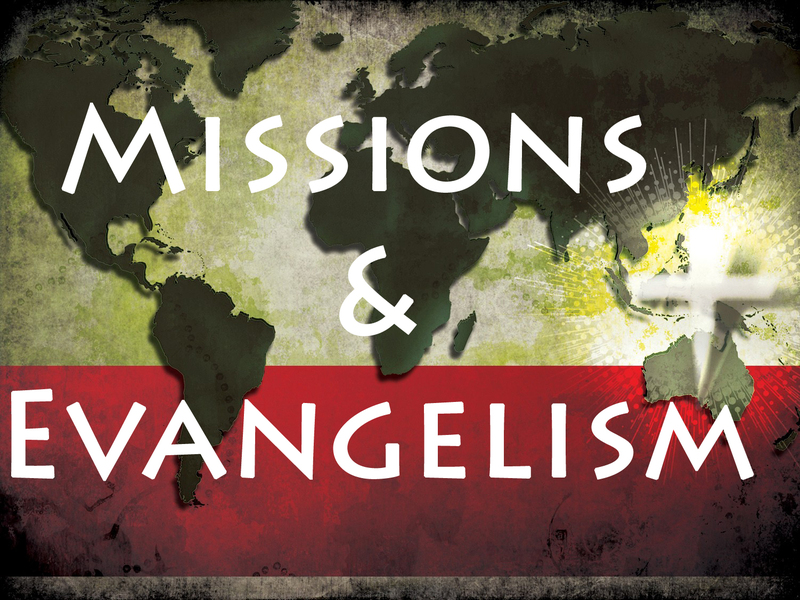 Though they are not evangelists, they are clearly called to do the work of an evangelist. Within the early church in Jerusalem a problem arose among the Hellenistic Jews. Their widows were being neglected in their daily service of bread. The twelve then told the people to select seven men of good reputation, full of the Holy Spirit, and wisdom. (Acts 6:3). These seven men were chosen and appointed as the first deacons. Although there is no specific call for deacons to evangelize in the bible we immediately see two of the seven deacons sharing the gospel with the lost, Philip who was already mentioned and Stephen. Acts 6:8-10 says, “And Stephen, full of grace and power, was performing great wonders and signs among the people. But some men from what was called the Synagogue of the Freedmen, including both Cyrenians and Alexandrians, and some from Cilicia and Asia, rose up and argued with Stephen. But they were unable to cope with the wisdom and the Spirit with which he was speaking.” Not only does the bible record the extraordinary way that God used Stephen, it also allows us to know that Stephen was the first martyr as a witness of the Lord Jesus Christ. Clearly these deacons accepted the call to be witness and share the gospel with the lost world, even if it meant their martyrdom. Who then is called to this task of evangelizing the lost? Every believer! I Peter 3:15 says, “But sanctify Christ as Lord in your hearts, always being ready to make a defense to everyone who asks you to give an account for the hope that is in you, yet with gentleness and reverence.” Every believer should stand in readiness to evangelize the lost and make a defense of their faith. Every believer should take up this task with urgency and anticipation, and with joy and eagerness that they have the privilege of being used as a tool of the gospel to have an impact upon someone’s eternity. We are called, therefore we should be compelled. When Jesus said “preach the gospel,” and “you shall be my witnesses,” He was speaking to the whole church. Every church should unify together for the sake of reaching their communities with the gospel. Every church should actively reach out to their surrounding areas, even those who are around them but may be culturally different, and share the gospel. Every church should actively participate and support missions that reach near and far. This is clearly the biblical mandate of Acts 1:8. Let us be clear though as to what, or who, the church is. It is the assembly of believers. In other words, every individual member makes up the body of the church. Therefore, every individual member of the body is clearly called to actively participate in both evangelism and missions. As already stated the word preach means to proclaim. The literal meaning is to harold, or to proclaim publicly. Also, as already stated, there are two types of preaching commanded in the bible, pastoral preaching, and gospel preaching. Although pastoral preaching can, and should, be done almost anywhere it is directed to the church for the edification of the church. Although gospel preaching is directed toward the lost, it too should hold a prominent place in the preaching ministry at the church. Paul said in I Corinthians 15:1, 2, “Now I make known to you, brethren, the gospel which I preached to you, which also you received, in which also you stand, by which also you are saved, if you hold fast the word which I preached to you, unless you believed in vain.” Paul writing to the church of Corinth said that there are some in the church that genuinely received the gospel and are saved and that there is at least a possibility that there are some who believed in vain and are not saved. Although it is not our job to judge, we must be aware that there is a great possibility that there are some in the church who believed in vain and are therefore lost. Therefore, the gospel should regularly be preached to the church. When one asks the question, where should preaching take place, the majority of people, church and unchurched alike, will say within the church. And, clearly it should. However, the church is not the only place that gospel preaching should take place. We find in the gospels Jesus preaching to the masses such as the sermon on the mount, we also find Jesus proclaiming the truth of God’s Word in homes such as Simon the Pharisee, and we even see Jesus sharing the gospel to individuals like Nicodemus. Jesus gave to us a great illustration of “go therefore” in the parable of the seed and the sower. (Matthew 13:1-23). We see one who is sowing seed everywhere as he goes. Some fell on the road, some fell on the stony ground, some fell in the thorns, and some fell in the good soil. As a farmer he would have been a very bad steward of the seed. However, Jesus said that the seed was the Word of God. Therefore, this seed sower was a faithful servant and a great steward of the Word of God. We are bad stewards of the Word of God when we choose not to sow it as we go. God has clearly called every believer to the task of preaching/proclaiming/heralding the gospel as we go. The question we must ask ourselves is, am I going to be a faithful steward of the gospel seed so that some may fall in the good soil, take root, grow, and bear fruit of their own? Or am I going to be a bad steward and selfishly keep what I have to myself? True, biblical evangelism consists of communication. Jesus said in Mark 16:15, “Go into all the world and preach the gospel to all creation.” One cannot preach without communication. The word preach means to proclaim. We are commanded to proclaim the gospel to all creation. We are called to be witnesses of Jesus and his teachings to the whole world starting where we are at. (Acts 1:8). Preaching is the means by which God has chosen to have His gospel message communicated. I Corinthians 1:21 says, “For since in the wisdom of God the world through its wisdom did not come to know God, God was well-pleased through the foolishness of the message preached to save those who believe.” Whether we are proclaiming to the masses or sharing with individuals we must communicate, preach, proclaim the clear message of the gospel. This is not just the pastor’s job. Every Christian is called to this task. In every city Paul and his team entered many rejected the gospel and often persecuted Paul. Yet, at the same time there were many who accepted the gospel with gladness. When the gentiles heard that God’s grace was available to them through the preaching of the gospel, they were especially responsive. Acts, 13:48-49 says, “When the Gentiles heard this, they began rejoicing and glorifying the word of the Lord; and as many as had been appointed to eternal life believed. And the word of the Lord was being spread through the whole region.” I wonder how many who live today in our own communities would respond to the gospel when they hear that they are not too far removed from the grace of God and can be saved if the call upon His name? But how will they hear unless we tell them? Most of the time they will not come to us because they feel unworthy, however, if we go to them they may very well respond. The churches had a twofold purpose. First they needed to disciple the new believers. Secondly, although many in these cities responded to the gospel there were still many more that did not hear and needed to be evangelized. The good news is that there were now churches established in these cities as an evangelistic lighthouse of the gospel; not only to their generation but to the ones to come. God’s order has not changed. He still fully expects His churches to send, pray for, and support missionaries just as the church at Antioch did. Something interesting to notice about Paul’s missionary journeys is that he only went to larger cities of major commerce and trade that was easily accessible to the rest of the world. These were the perfect locations for church to grow and multiply by sending missionaries out into the rest of the world. God also still fully expects His churches to be a lighthouse of the gospel to their own communities and to disciple those who come to the faith where they too will become effective workers for the kingdom. If we are not faithful to this task the world will then be condemned to hell separated from the grace of God for eternity and we will be responsible because we refused to do what God fully expects of us. Remember though, Europe was the first continent to be considered a Christian continent. This was in great part to Paul and his team of missionaries being faithful to the Holy Spirit and the calling He set them apart to do. What would God do through us today if we are simply faithful?